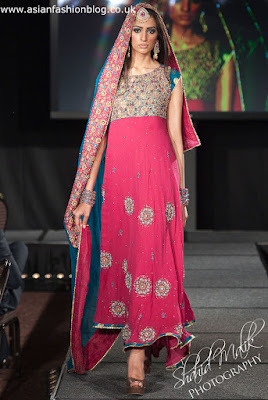 Ambreen Khan was another of the designers at the 2011 Pakistan Fashion Extravaganza. I hadn't heard of her before this event, but apparently as well as being a fashion designer she's also a TV host, presenting a show in Pakistan called "The Kitchen Queen". 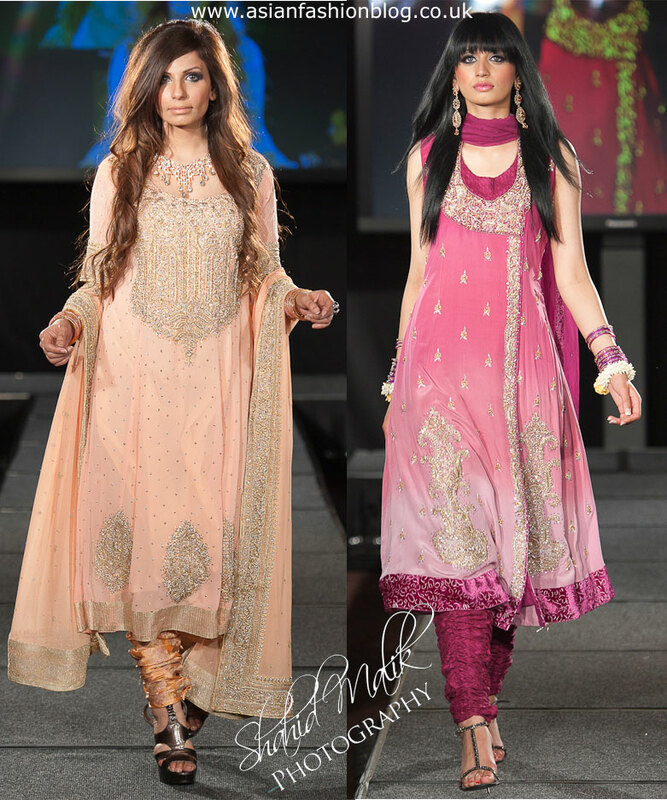 This peach and gold outfit on the left is probably my favourite out of the churidar suits. Not loving this grey and yellow/gold lehnga. Compared to the two above it looks a little plain and doesn't appear to have much of a shape. 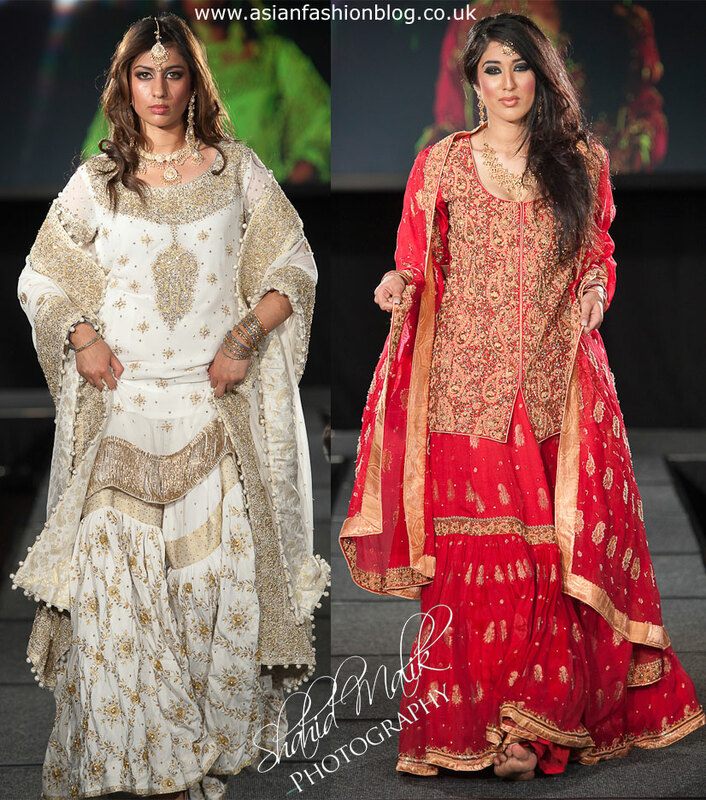 In amongst all the very traditional outfits from Ambreen Khan were these two outfits which appear to be from a completely different collection! I don't think they look bad (even the peacock feather skirt! ), but I'm struggling to think where anyone would wear these, they don't quite seem formal enough to wear to an evening event, and a little too dressy to wear in the daytime.